Top quality branched chain amino acids BCAA. Their main function is to reduce decay and intensification of reconstruction of proteins, improving nitrogen balance and the regulation of lipid and carbohydrate metabolism. 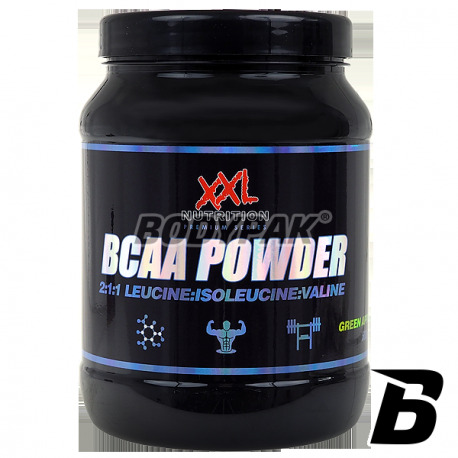 XXL Nutriton BCAA Powder is a high quality branched chain amino acids BCAA. Their main function is to reduce decay and intensification of reconstruction of proteins, improving nitrogen balance and the regulation of lipid and carbohydrate metabolism. - L-Isoleucine - providing large amounts of leucine, resulting in lower levels of the other two amino acids isoleucine and valine, which is why it is so important to use all three compounds together. Additionally, isoleucine is known to glukogennych amino acids, that is, that the body in an easy and fast way can be converted to him necessary for the functioning of energy. This means that we will be able not only to train longer and harder, but also recover faster. 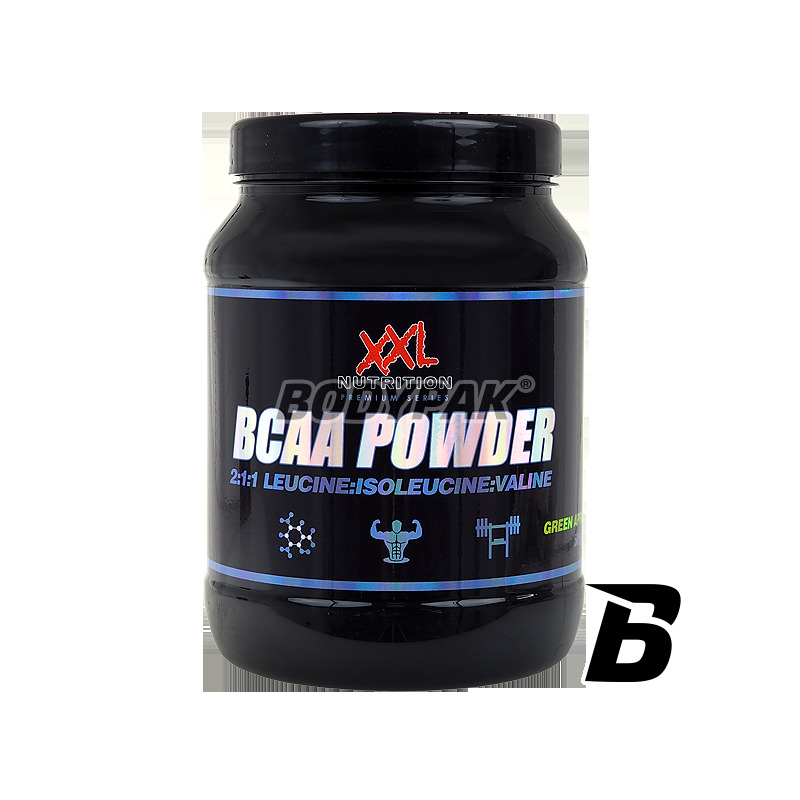 XXL NUTRITON BCAA POWDER - RECIPE FOR SUCCESS! Inne składniki: kwas cytrynowy, aromat arbuzowy, substancje przeciwzbrylające (cytrynian sodu, dwutlenek krzemu), barwnik (ponceau R4 - E124, sunset yellow, brilliant black P.N. ), substancje słodzące (sukraloza, acesulfam K). Bardzo fajne BCAA, solidna dawka, rozpuszczalność prawie idealna. Działa jak powinno.